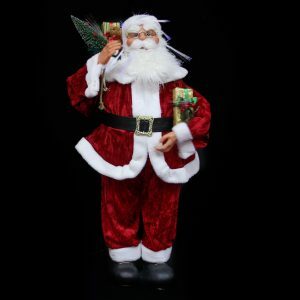 This dapper and dandy 152cm tall Lantern Santa is the perfect way to ring in the holidays and bring a distinctive look to your home this season. Each plush and detailed character measures around 58cm wide, and is the perfect way to adorn the home or office for the Christmas holidays. 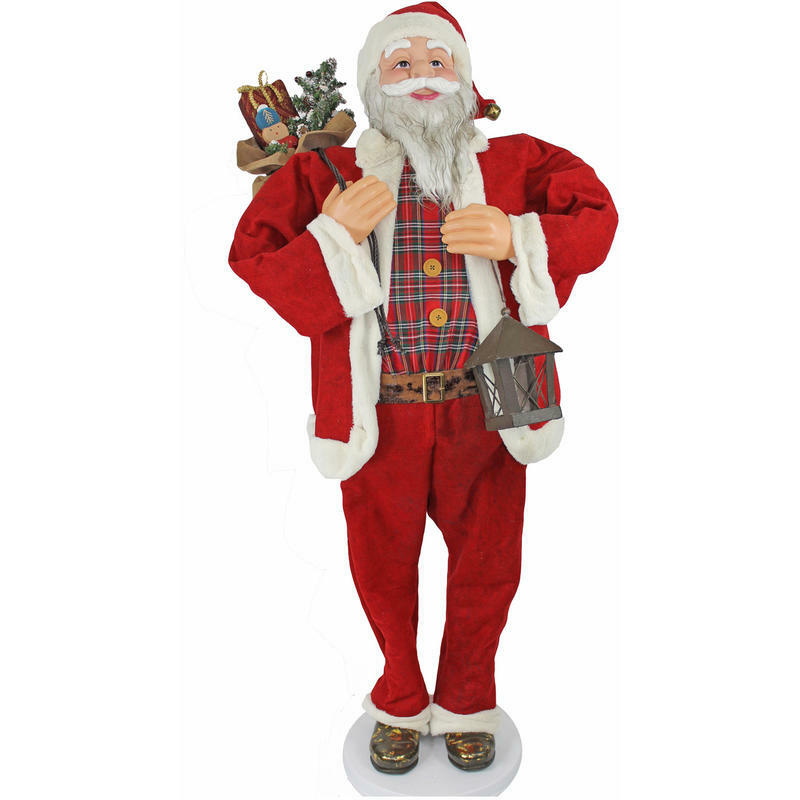 Enjoy the fantastic accents seen with this Santa, such as the red flocked suit, weathered boots, and twinkling blue eyes. 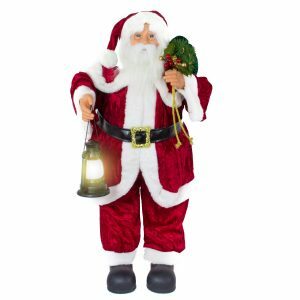 Santa carries a lantern in his hand, which could be ideal for setting up a display near your door, on the patio, or under a porch this year. He totes his brown burlap bag over his shoulder, which appears to be bulging with gifts for lucky recipients on his list. Check out Santa’s plaid shirt and belt- he is dressed from head to toe in his holiday best! 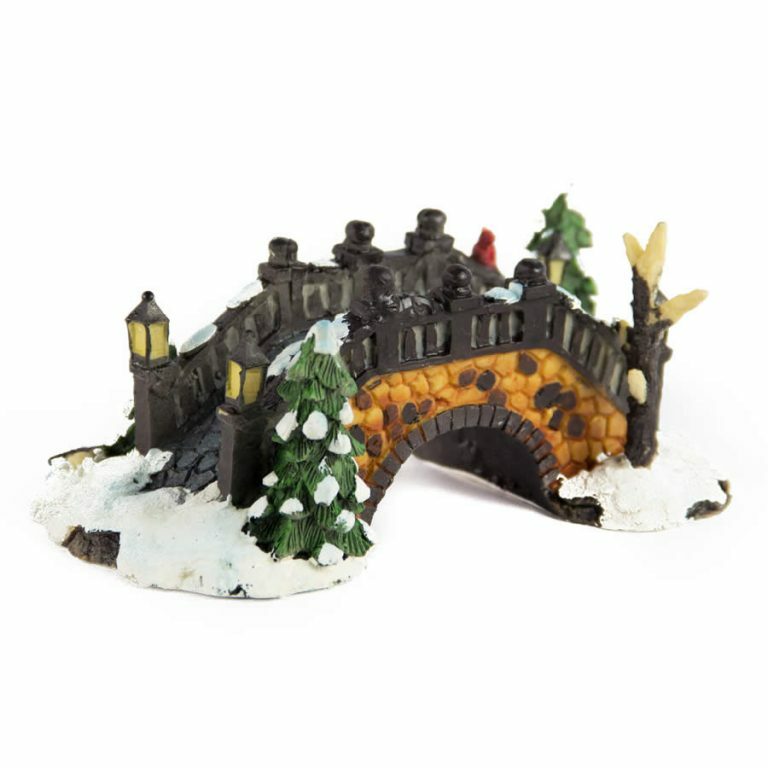 This is a stunning accent that will become a family favourite in years to come.